Marcelo Freitas is a fight guy. He’s the type to follow every minuscule detail about the most recent televised bout, stash away boxing books and fight magazines well after he’s read them twice-over, and picks up on the stylistic nuances in the ring that pass over most observers. He’s also the type willing to dedicate his life to keeping a sport and culture alive in a place where it’s nearly on its deathbed. 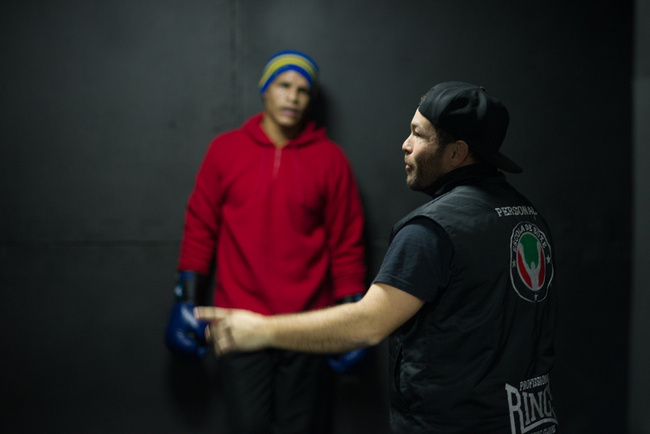 The 36 year-old runs a fight club called “Sul Boxe” (South Boxing) in Porto Alegre, a city in the south of Brazil. While boxing is his specialty, Freitas is also well schooled in Muay Thai, Brazilian jiu jitsu, and MMA, offering instruction in all disciplines throughout all hours of the day, five days a week, to anyone willing. The majority of the student demographic is more middle-upper class since most of the participants are here to get in shape, maybe learn a skill or two, but not to compete seriously. For Freitas, however, competing isn’t always the point. Freitas trains fighters out of what once was a chic two-bedroom apartment. Three heavy bags hang from the living room ceiling, a double-end bag suspends in the center, and a speed bag in the corner polishes off the main training area. The two bedrooms in the back have been matted with black foam from ceiling-to-wall for ground game, and Freitas drifts in between both spaces, checking in on students in their respective practice. On the walls drape various fight posters: Mike Tyson, Rocky Balboa, an inspirational quote from Cus D’Amato. In the background blasts the tunes of classic late-90’s hip-hop, the sounds of Tupac, Biggie and Bone-Thugs-N-Harmony linger through the air. At three-minutes the music cuts off at the sound of a recorded bell, restarts after a one-minute interval of silence. These CDs are Freitas’s own creation, at first taking about two hours to edit a 20-track CD on a music-mixing program, but now he says he’s got the process whittled down to a cool forty-minutes. And of course he makes new mixes every few weeks, “because the students need variety,” he tells me with a grin. He leads me into the apartment’s former office, which today is still utilized for the same function. Here all administrative tasks are carried out, such as registrations, licensing, and bout coordination. Freitas points to a chessboard sitting in the middle of the table and tells me his approach to coaching is much like playing a game of chess—the positions, the planning, the forethought—all of is embedded in his teaching philosophy. He was also once (and at times still is) a chess professor at the local high school, taking some students to national championships and performing quite well. It may be cliché to say that boxing (or any marital art) is like a game of chess, but Freitas understands the comparison intimately. He goes on to expand the parallels even further. “In boxing there exists a discipline that you can take into not only the sport, but also in your life, like you take a bad hit and you still have to keep moving. You continue looking for your objective. Sometimes in life you take a bad hit and you have to keep going,” says Freitas. This pugilistic musing is reflected in his own efforts to keep the fight club alive. 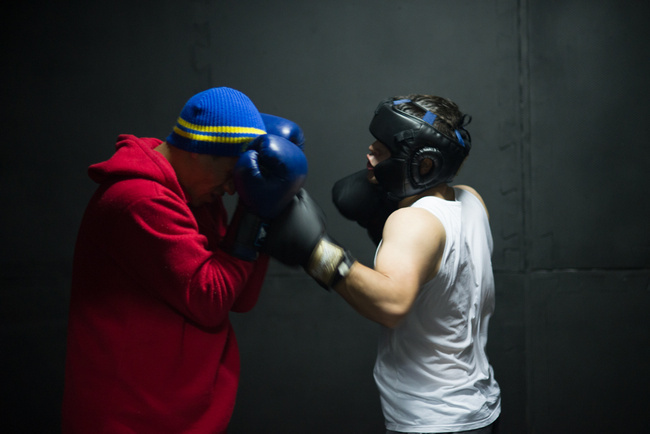 I first met Freitas last year at the “Escola de Boxe” (The School of Boxing), a gym a few miles from the current location, and was much more fitted for serious training, equipped with a full-size ring and adequate floor space. Dozens of fighters buzzed through the door during my two-hour visit last year, and the gym held a respectable attendance of about 150 regulars. But recently the block has gone under construction and his former partner opted out of the business, saying that running a fight club wasn’t a lucrative enough venture. With half his funding cut, Freitas relocated, rebranded, and is now waiting for the construction in the former area to finish. Unless he finds another business partner however, the likelihood of “Escola de Boxe” reopening isn’t promising. Out of the 150 boxers he had from the previous school, he’s managed to retain about a third, but only four of them train competitively. This ratio is indicative of the general fight presence in the region, as Porto Alegre is known more for its literature and art, boasting some of nation’s best scribes and artists, but not so much for its fighting talent or its fighters. According to Freitas, however, the need still very much exists. I haven’t been in the city long enough to make an accurate assessment as to whether or not Freitas’s estimate of the social risks to youth is as he claims, but judging by his character alone, I take his opinion to hold some water. And at least in the case of 17-yr old Lucas Santos, one of the gym’s only competitive fighters, the need and results from being involved in fighting sports has proven to be true. 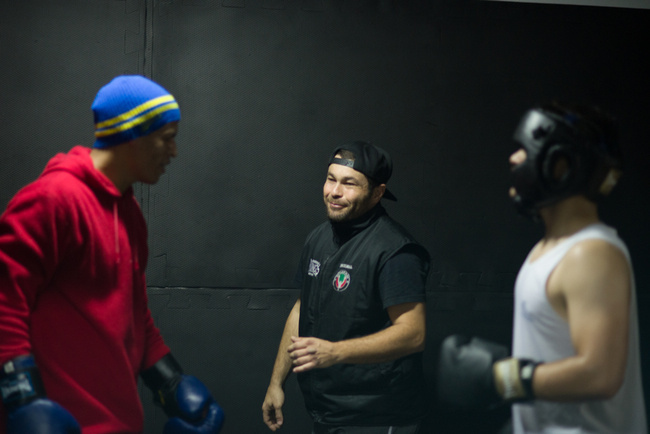 Santos aspires to one day make it big on the world stage, admiring the bravado of Pernell Whitaker and Floyd Mayweather Jr., and hopes to have a signature move that will go down in boxing history as his own. He still hasn’t had his first fight, but plans on it this month. For this reason, he’s one of the few fighters who participate in the weekly sparring sessions. Saturdays are reserved for sparring, but with only four serious competitors, the sessions are considerably limited. In order to find skilled and willing opponents, many times the trainer and his fighters are forced to travel. I wait outside the gym with Santos that Saturday, and Freitas pulls up in his 4-door Toyota SUV to drive his students to the session, as he does every weekend. We’re traveling to the nearby city São Leopoldo, about 40mins away from Porto Alegre. According to Freitas, the reason is because the other gyms in the city don’t want to participate in inter-gym exchanges. We pull off the freeway into São Leopoldo and the city landscape is noticeably different. Buildings are older, constructed of red, worn brick that look a few decades from its last restoration, and there’s a stronger industrial feel to the area, which could just be reflective of the particular neighborhood we’re in, but according to Frietas, the overall social status of São Leopoldo is considerably lower than that of Porto Alegre, with social risks to youth being much higher. 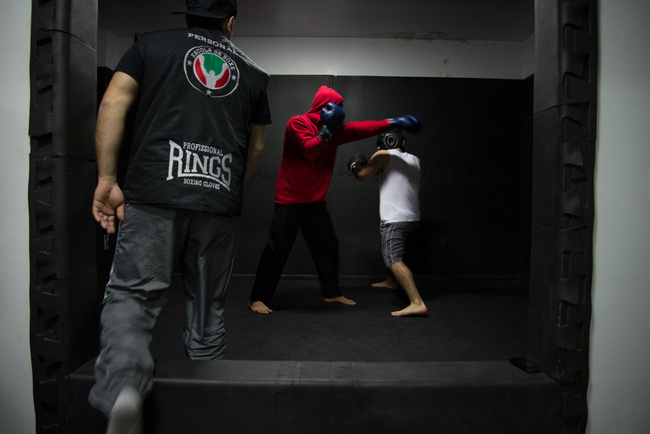 We walk into a training space run by Tiago Silva, a fellow fight enthusiast and director of the “Centro de Lutas/Clube do BOXE Universal” (Fight Center/Universal Boxing Club). Freitas tells me that he runs a “social project”, but makes air quotes around the term because Silva is not sponsored by a government entity like most traditional NGOs. Instead he runs the gym out of his own pocket, and often has difficulty paying the bills since his objective is to better the overall well-being of his students over making any profit from the gym. Sparring is set to take place in one of the two rooms that make up the gym. There are about twelve guys standing around in a matted room, some of them making over an hour journey to show up. Each pair takes their turn in the middle for three minutes while the others take note. Some of the fighters move more like seasoned vets, probably competing at a high amateur level. Others are just beginners, still learning to get comfortable with the footwork and how to guard against a sharp jab. But there is never really too much attention placed on the distinction in skill-level; everyone has a steady control of their abilities (or lack thereof), and hold loyal to the simple intention of making their teammate stronger. The session closes with plenty of tired faces and smiles. Hugs and hearty pats on the back are passed around as the fighters close up yet another Saturday session. Silva’s gym is set to close in January. He was recently laid off from a job in construction, and because most of the gyms expenses were coming from his individual income, he has no other choice but to shut the place down. There’s a look of guilt in Silva’s eyes as he speaks the words to me. Earlier he pointed out a couple of fighters who had benefited significantly from being part of the club. One of them was a heavyset kid who shed significant pounds and dramatically improved his health since training. Another was said to have been abandoned by his family, and the gym members served as his adopted one. It’s one of those things where there’s no real easy solution. The will is certainly there, but not the means. I go back to “Sul Boxe” the next week to drop off some photos and say goodbye. Freitas is right back in the mix of it, working the pads with a young student as I walk in. I take another look around the gym, still a bit taken aback at the whole ambiance and makeshift of this place. The week previous left me with plenty of thoughts and questions with all that I heard and saw. Porto Alegre certainly doesn’t breed the greatest amount of fighting talent, but what there is plenty of is a grand persistence against adversity. I guess I wanted to know what kept guys like Freitas going, despite all the social and financial odds stacked against them. He cuts our conversation and runs across the room to adjust a student’s stance, then quickly gets down on his knees to wipe away some water and pick up some used wraps. On his way back he gives the speed back a knock and hangs the wraps up to dry. He flashes a huge grin when he returns to finish his thought.